He was one of Ireland’s best known and best-loved poets, often compared to W.B. Yeats. The Nobel literature laureate recently suffered from ill health, and was reported to have collapsed earlier this week. Tributes are pouring in for the 74-year-old, who leaves behind his wife Marie and three children. Heaney had been awarded numerous prizes and received many honours for his work, most notably winning the Nobel prize for literature in 1995 “for works of lyrical beauty and ethical depth, which exalt everyday miracles and the living past”. The writer and lecturer also received the Golden Wreath of Poetry (2001), T. S. Eliot Prize (2006) and two Whitbread prizes (1996 and 1999). He was both the Harvard and the Oxford Professor of Poetry and was made a Commandeur de l’Ordre des Arts et Lettres in 1996. Many of his works deal with Ireland, particularly the Troubles in Northern Ireland, where he was born. As an Irish Catholic from Derry he came under pressure to takes sides but expressed a reservation to become a spokesperson for the 25 years of violence. The poet also wrote many poems about those who died in the violence. Other poems explore the development of self, the nature of love and death, the creative process and the importance of the poetic imagination. The first poem in his first major collection was called Digging, and it described his father digging potatoes and his grandfather digging turf. Some of his other better-known poems include: Death of a Naturalist, Follower, Mid-Term Break, Mossbawn: Two Poems in Dedication, The Harvest Bow, The Tollund Man, Bogland, A Constable Calls, The Skunk and Twice Shy. Students across the country will be familiar with Heaney’s work as it is used extensively on the Junior and Leaving Certificate syllabus. Born April 13, 1939, the oldest of nine children, Heaney first lived at Mossbawn between Castledawson and Toomebridge, Derry in Northern Ireland. In 1953, his family moved to Bellaghy, a few miles away. In 1957, Heaney traveled to Belfast to study English Language and Literature at Queen’s University Belfast. After lecturing for some time at Queen’s University and also at the University of California, Berkeley, he decided to move to Dublin and worked as a teacher at Carysfort College. He lived in Dublin until his death. Email “Poet Seamus Heaney passes away aged 74”. 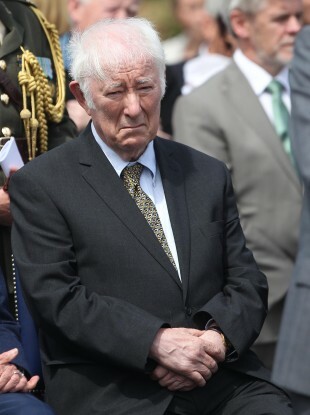 Feedback on “Poet Seamus Heaney passes away aged 74”.